When I think of Sicily, I think of the four incredible traditional Sicilian food that rule me completely. Arancini, cannoli, caponata and granita. I can live with those alone while I am there. BUT. But Sicilian cuisine is one of the best and one of my favorites in Italy so it's not that those are the only ones that are good. They are just the tip of the iceberg because there's a whole world of cuisine to appreciate. Being an island of so many cultural influences in its past like the Greeks, Arabs, Spanish and Normans, their cuisine reflects them all. Sicilian food is something to love with its amazing pronounced flavors. 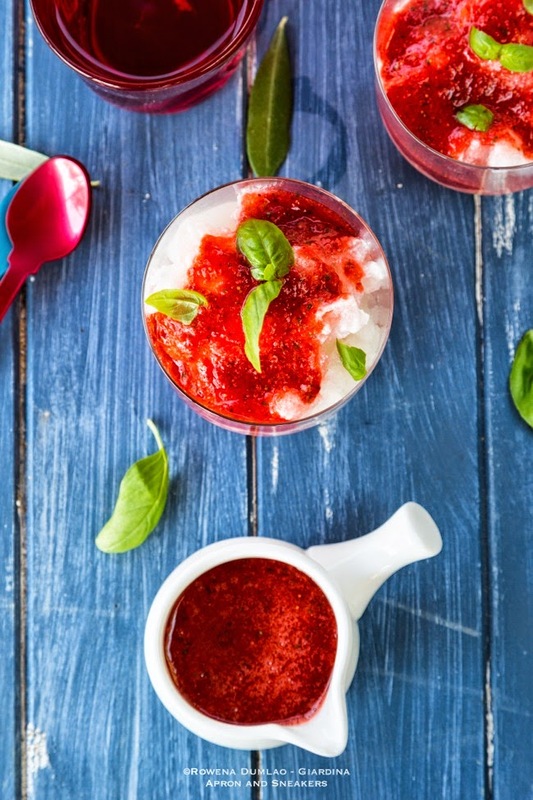 When it's summer, my family and I start craving for granita. It's so refreshing and light on really hot days. At home, we have them anytime of the day. In Sicily, we have them for breakfast with brioche. My son loves mint granita when in Rome and lemon when in Sicily, my husband loves mulberry and coffee, I love mine toasted almonds from Avola while my daughter insists on a rarely-done Nutella-flavored granita (which reminds me to create one for her). For my love of almond granita (especially the ones from Avola in Sicily) and after speaking extensively about it with a Sicilian acquaintance once, I made some to satisfy my almond granita craving. I usually have some bricks of almond paste from Sicily in my cupboard for emergency craving cases like this one. This time though, I also made some strawberry and basil puree made from fresh strawberries and fresh basil leaves from my garden pots. Marvelous! 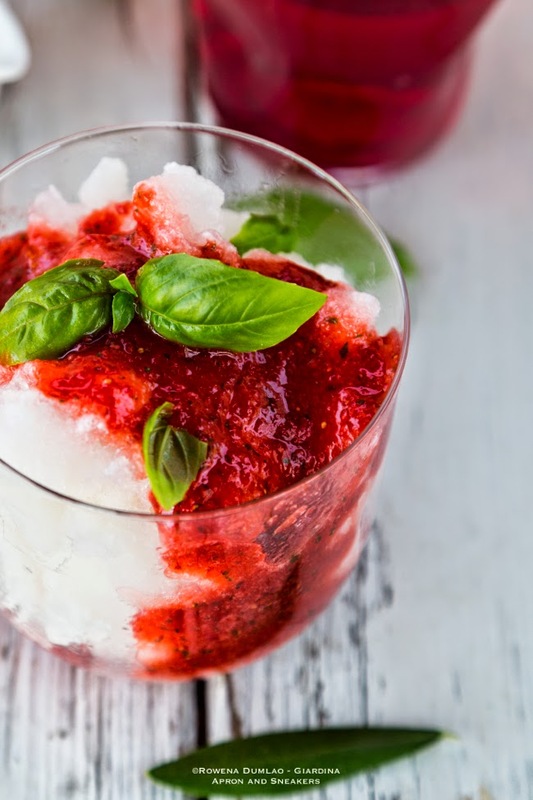 The whole recipe is very easy to make and in no time (well, and a few hours of waiting for the granita to freeze), you can have a refreshingly delicious granita. 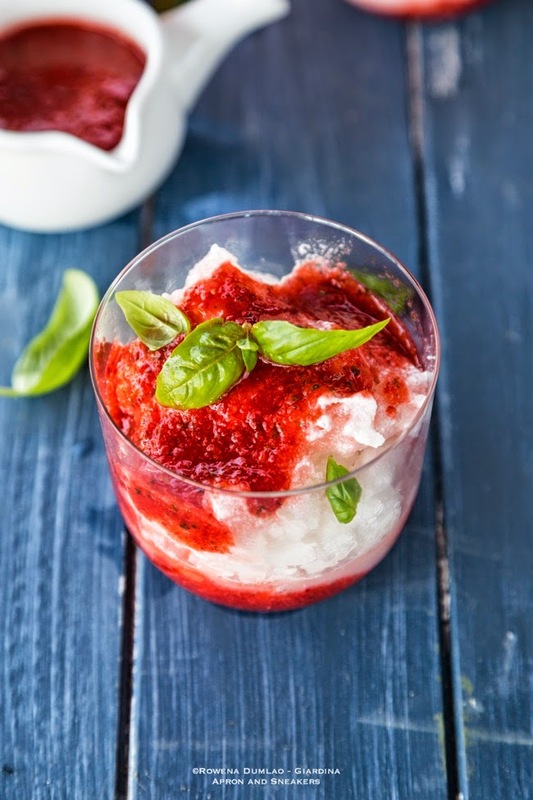 For this Almond Granita with Strawberry and Basil Puree recipe, you can get it at She Knows, a site where I create recipes. You can see my Profile Page there and browse the other recipes I have there. She Knows is a great site that tackles a lot of topics like parenting, travel, entertainment, food, and a whole lot of issues that are very interesting. I hope you enjoy it! Enjoy your Sunday!